Here are a few C# Interview Questions for you! 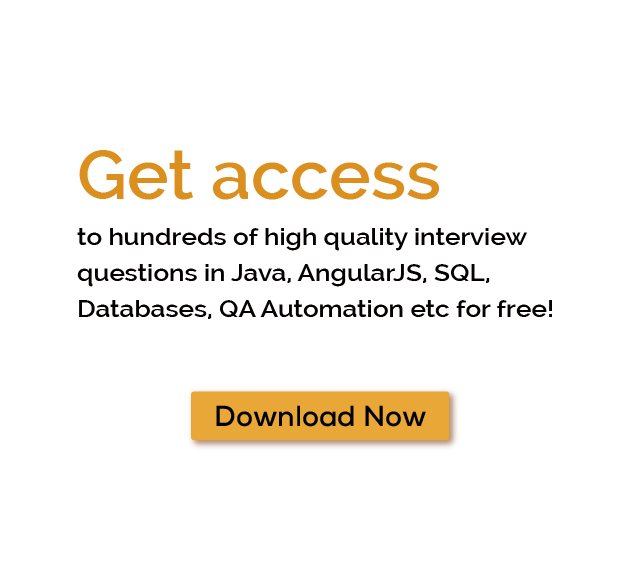 Download more High Quality C# Interview Questions! Whenever we need to choose a language to build a secure window and web application, everyone suggests C# (c-sharp) and there is no point in discussion about it, why it is secure? In this blog, we discuss c-Sharp language, its history, features, concept, uses and in last we give some C# interview questions that are beneficial for cracking an interview. C# also referred as C-Sharp is an object-oriented programming language based on c++ concept developed by Microsoft that runs on .net framework. Microsoft launched C-Sharp in 2000, later it approved by ECMA. C# programming is the most commonly used language which is designed for CLI (Common Language Interface). C# is a general purpose object-oriented programming language that can be used to develop various types of secured and robust applications along with unit testing. With the help of C#, you can create XML web services and windows based desktop and internet application. C# is encapsulated with low and high-level language features and lambda expression. It also called as C with Classes because it contains all the concepts of C language. Ander Hejlsberg and team develop a new language C# is also a .net framework component. Development was initially started in 1999 and in January 2000 NET launched it. At that time it called COOL because it was based on C-like Object Oriented Language, Later renamed as C-Sharp. A C-Sharp program runs on the .NET framework. In other words .NET is a platform who support C-Sharp type train. .NET framework is an internal component of windows. Common Language Runtime (CLR) is a virtual execution system that is included in the .NET framework. CLI (Common Language Interface): - CLI is a specification that was developed by Microsoft which provides the runtime environment to execute a program. In other words it allows to use some high-level language on different machines. Common type system: - CTS is a defined type system for all languages that are designed for use within the .NET framework. CTS used for various languages to communicate in-between. Common Language Runtime: - It provides the runtime environment to code execution. It comes with many features and some of this you can find below. C-Sharp comes with some ultimate features and some of them mentioned below. It provides magnificent security for software. Big range of data types. Provide native support for windows application. Used for various types of application like a console, windows and web. It introduces structures (structs) which convert primitive types to object. Support bound checking of the array. C# programming language grows rapidly and widely used by developer community. This section contains some top most interview questions that are beneficial for beginners and also for experience developer. These are few c# interview questions for experienced that can be asked during the interviews. You can crack an interview with this questions. Difference between struct and a class? What are Boxing and Unboxing features in C#? Difference between constant and read-only in C#? What is the difference between managed and unmanaged code in c#? What is Abstraction in C#? What is the difference between disposing and finalize method? What are delegates in C#? What are the events in C#? How to use delegates with Events? Explain different types of delegates in C#. Explain Generic class in C#. What are the Get and Set Accessor properties in C#? What is multithreading in C#? What are the various states of Thread in C#? What is late binding and early binding and explain the difference between them? What is the difference between Throw Exception and Throw Clause? What is the key difference between is and as operators in C#? How to use Nullable type in C#? Explain Object Pool in .NET? Explain success modifier in C#? Explain File Handling in C#. C-Sharp is a safe programming language to build modern applications with security. Each version of C# comes with some ultimate features that made it popular till now. Some of the many C# Interview Questions listed below will help you get an idea about what questions gets asked in such jobs related to Software Engineering & Tech. Get through the C# Interview bar with our selected C# Interview Questions for all C# enthusiasts! For thousands of similar C# Interview Questions login to our Website or download EduThrill. Experience the thrill of challenging people around the world on C# Interview Questions!